The Cameroonian midfielder had played in the victories against Brazil and Turkey, but tragedy struck in the semifinal against Colombia at the Stade de Gerland in Lyon. In the 72nd minute he collapsed in the centre circle, with no-one close to him. Players rushed over to see what had happened and the panicked look on their faces immediately suggested that something was horribly wrong. After attempting to resuscitate him on the pitch, medics stretchered Foe off and spent 45 minutes trying to restart his heart. He was still alive when they got to the stadium’s medical centre, but died shortly afterwards. A second autopsy revealed evidence of hypertrophic cardiomyopathy, a hereditary condition known to increase the risk of sudden death during physical exercise. 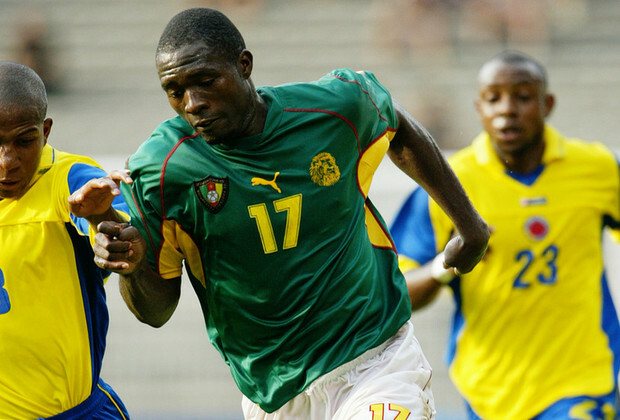 Foe had started his career at Canon Yaoundé, before a five-year stint at lens in France. After two seasons at West Ham United he left for Lyon, and was on loan at Manchester City when at the time of his death. He was 28.